In general, pet allergies come from typical allergens like dust, dander, pollen, fleas, and foods. These allergies can go undiagnosed for years, but also can be discovered in puppies and kittens, depending on the severity and symptoms. Typical symptoms can include scratching, licking, or chewing of ears, face, paws and other areas, discolored or irritated skin, head shaking, ear or skin infections, hair loss, strange odor, and like humans – sneezing and watery eyes. If left untreated, hot spots can occur which leave your pet miserable and also open to infection. There are several diagnostics veterinarians may use to determine whether or not your pet has allergies and what the cause may be, including skin cytology, skin allergy tests, cultures, and blood tests. If your pet has allergies, there are many different treatment options depending on the type of allergy and the severity. There can include oral antihistamines, fatty acids, topical treatments, strict diets, or allergy shots. 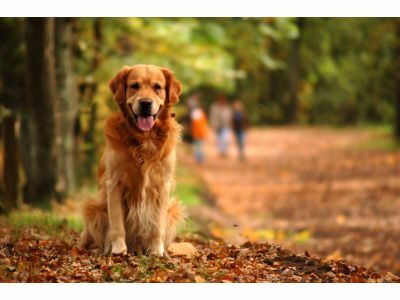 Besides the treatments listed above, you can make your pet feel better by making sure you are treating them for fleas all year, bathing your pet per your vet’s recommendations, providing your pet with omega-3 fatty acids per your vet’s approval, and vacuuming your home and cleaning bedding in order to get rid of allergen triggers.